At Tri Delta, philanthropy is an integral part of our sisterhood and we host several events each semester to benefit St. Jude Children’s Research Hospital and other amazing causes. Ever since St. Jude became Tri Delta’s national philanthropic partner in 1999, every chapter has committed countless hours towards raising money for this cancer treatment and research hospital. 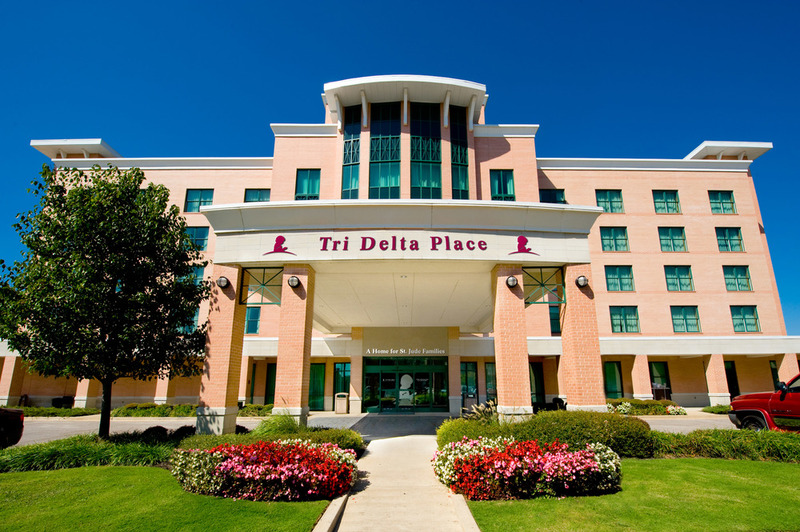 In 2014, Tri Delta committed to raising $60 million in 10 years to name Tri Delta Place, the on-campus, short-term housing facility at St. Jude. This is the largest single commitment by a St. Jude partner. St. Jude has been instrumental in children’s cancer research and treatment, and we feel humbled to be a part of such an incredible cause. In the previous academic year, our chapter alone raised $56,675 for St. Jude! Delta Dodgeball is our annual day-long dodgeball tournament between the fraternities on The Row. Every girl in Tri Delta acts as a coach for a fraternity team and cheers them on during the event, in hopes for victory. We close off 28th Street to cars all day, and the boys take to the streets for an exciting and intense competition! Every spring, Tri Delta hosts Delta House of Pancakes, an all-you-can-eat homemade pancake dinner that includes chocolate chip pancakes and fun toppings. This night is a great time to get together with our sisters and other USC friends as we enjoy a delicious late night snack and raise money for St. Jude! Sincerely Yours is our annual letter-writing campaign to benefit St. Jude. During this time, sisters learn more about the commitment between St. Jude and Tri Delta. Our Philanthropy Chairman hosts various events with food, movies, and games that allow us to bond while being a top fundraising Tri Delta chapter for St. Jude. Tri Deltas are always happy to support the many other Greek-sponsored fraternity and sorority events across the Row. Every year, Tri Delta participates in many events, such as Sigma Chi’s Derby Days, Kappa Sigma’s Boot Kamp, ZBT's Jungleball, Lambda's Megabowl and AEPi’s Sets on the Beach, just to name a few. We always love showing our support for the fraternities and organizations that they are supporting! We always have a blast competing in various sports with our sisters! We are also proud to announce that Theta Xi was the first chapter on the west coast to reach its chapter’s goal of $62,000!